Search Engine Optimization is one of the leading strategies to make your business or brand more visible and accessible to your target demographic. Commonly referred to as SEO, it can be defined as the application of techniques and strategies that are geared towards making your website search engine friendly. 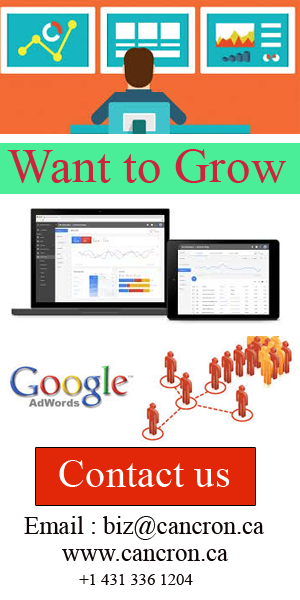 This means you will get a higher ranking on search engine result pages (SERPs) which can translate into more organic user traffic. SEO and other digital marketing strategies are fast gaining traction because many consumers have resorted to searching for products and services on the internet before making a decision on the final product to purchase. Therefore, it has become necessary for brands and businesses to utilize the Internet as a marketing platform. The primary objective of SEO strategies is to help the people looking for your product to locate you. It is important to know what consumers are looking for, then create and optimize your site to serve these needs. SEO strategies focus on optimizing websites through the use of quality content, graphics, keywords, metadata, and backlinks. High quality and relevant content are important because it increases the chances of consumers visiting your site repeatedly. It is important to integrate your social media platforms with your website so as to increase the chances of your products being found. By doing this, your site will get a higher ranking on SERPs. This is important because many consumers believe that the sites listed on the first page are the most relevant to their search concerning brand power and authority. Calgary is an industrial city in Canada with many industries and businesses based there because it is regarded as Canada’s oil center. Because of this, it is necessary to include SEO in your digital marketing strategy. In a place where many brands are providing the same products, it is prudent to set your brand apart from the crowd. Because you are targeting the Canadian population, it is advisable to use keywords that are relevant to the location, emerging trends, and ensuring your site is location-specific, by using the Canadian extension for your site (.ca). Also, make sure that your site has a separate version for the French-speaking consumers who are part of your targeted population. This will help you achieve visibility in local listings. This is because websites ranked highly on the SERPs of search engines such as Bing, Google, and Yahoo are trusted more by consumers. The use of keywords relevant to your product will widen the reach of your brand and give it more recognition locally and internationally. This also means that SEO Calgary will increase the traffic flow to your website and potentially enhance the number of customers. This allows you to get ahead of your competitors. This is the conversion rate of site visitors from potential leads to actual sales. SEO Calgary will improve this rate because many clients will learn about your products and services without physically visiting your offices. Because optimized pages are easy to navigate, viewers spend more time on the site and the chances of making a sale will be much higher. More customers are looking for sites that meet specific needs, and through SEO, this will be possible. SEO Calgary is much cheaper than traditional marketing techniques such as print, television, radio, or billboards. It allows you to achieve better long-term benefits with minimum capital input. SEO strategies are effective because they increase the access to your website and brand. The help you monitor traffic generated and also how it can be increased. By implementing SEO, you can attract more customers by converting potential leads more efficiently.